Drunk driving is a serious offense, never more so than when it results in the death of an innocent. Although DUI manslaughter carries a minimum 4-year jail term, the sentences can vary greatly based on a number of factors. Confinement is not the only cost to drunk drivers. Victims’ families can sue drunk drivers. If you have lost a loved one to the recklessness of a drunk driver, a good personal injury attorney may help you recoup some of the costs associated with the wrongful death. In 2013, nearly 30 million surveyed individuals confessed to driving while under the influence of alcohol. 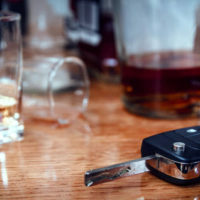 Although the names and faces are different in every case, the feelings of guilt and shame associated with DUI manslaughter resonate through many of these cases. In sober moments, they realize they have altered the lives of families forevermore. Nothing can bring back a loved one lost to the recklessness of an inebriated driver. At the Law Offices of Robert W. Elton, we understand your pain, and will fight for justice on your behalf. Contact our empathetic, yet aggressive legal team in Daytona & Ormond Beach today for a no-cost, personal consultation.